This 4M aircraft produces no carbon emissions and is powered by solar energy. Take it outdoors and share this next wave technology with your friends. Hang it from the ceiling or put it on a bottle as a mobile. 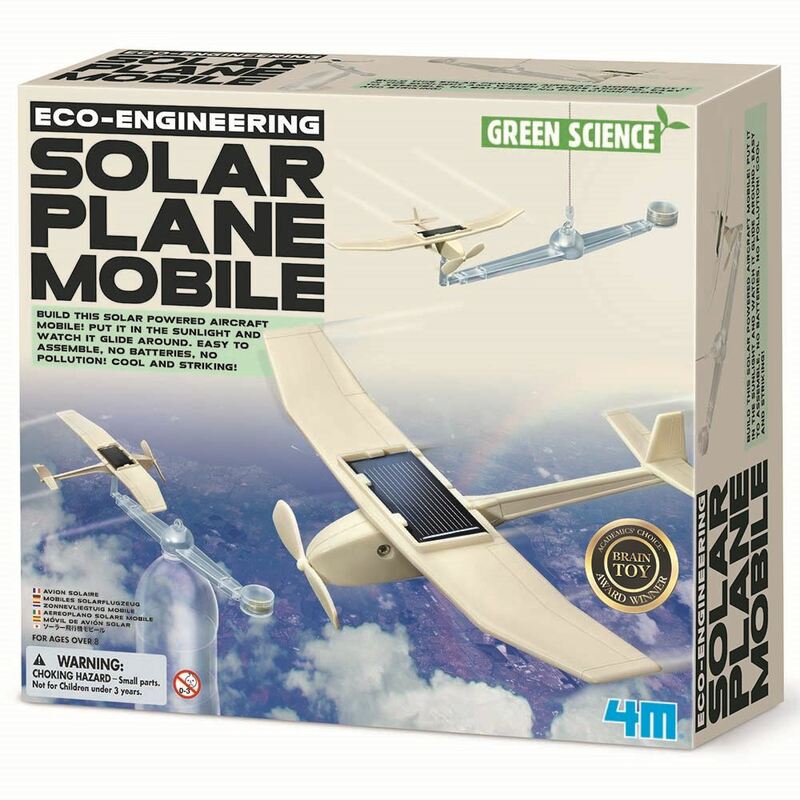 Includes: plane body halves, wing, horizontal stabilises, accessories and detailed instructions. Required: a used drink bottle, coins and crosshead screwdriver (not included). Age 8+ years. Part of the Eco-Engineering range. Distributed in New Zealand by Holdson.